The Arab world has long been subjected to super-power rivalry for influence and control. The area has been characterized by bloody conflict with Israel and the internal instability that has been particularly prevalent in the last few years. Whilst these political struggles have been highly visible and at times spectacular over the decades, other transformations have taken place within the societies and peoples of the region, on a less pronounced – although just as profound – scale. The integration of the region into the world economy and the spread of Islamic revivalism are perhaps the most significant of these transformations. This volume, inspired by a lecture series on the Arab world in transition at the American University, Washington D.C., was first published in 1985. 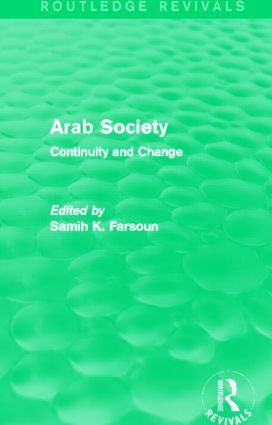 It discusses a wide range of issues, from economic to religious, which together form an in-depth analysis of the complex processes of transformation in Arab society. This is a fascinating work that holds the same interest and value to scholars and students of Middle Eastern history, politics and domestic affairs, as it did when it was first published.